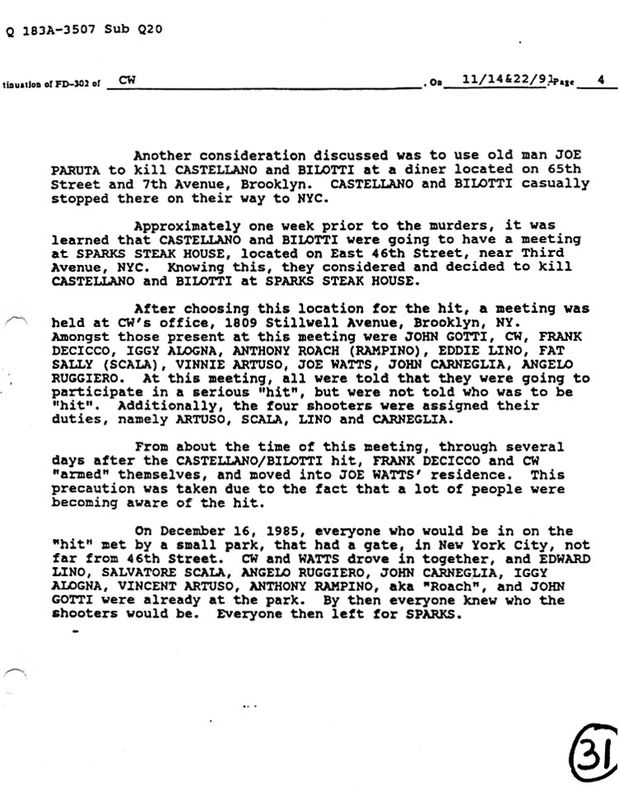 DECEMBER 10--We’re not waiting until next week to mark the 25th anniversary of the last great Mafia rubout, the 1985 gangland hit that left Paul Castellano in the street and elevated John Gotti to boss of the Gambino crime family. 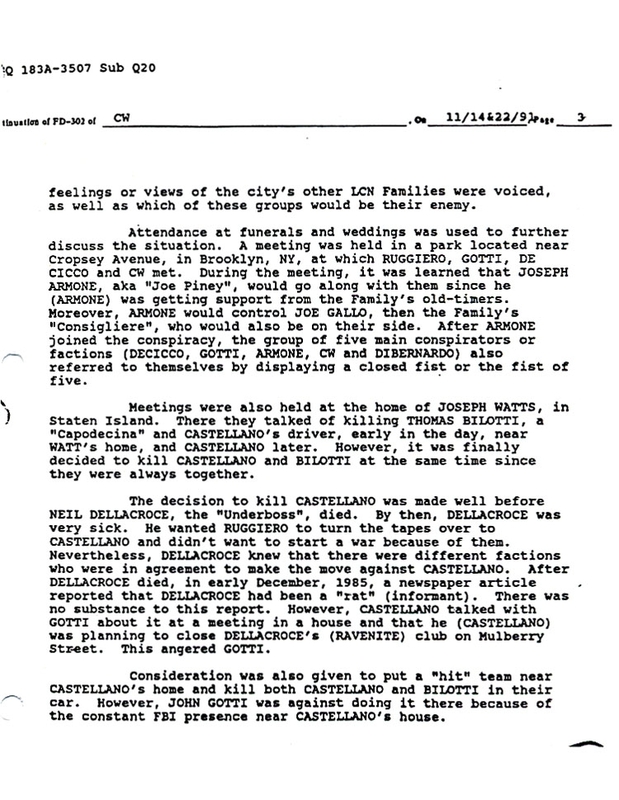 As writer Pete Hamill would say, Castellano lost a mob primary on December 16, 1985 as he was exiting a Lincoln in front of Sparks Steak House on Manhattan’s East Side. 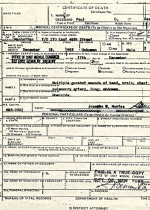 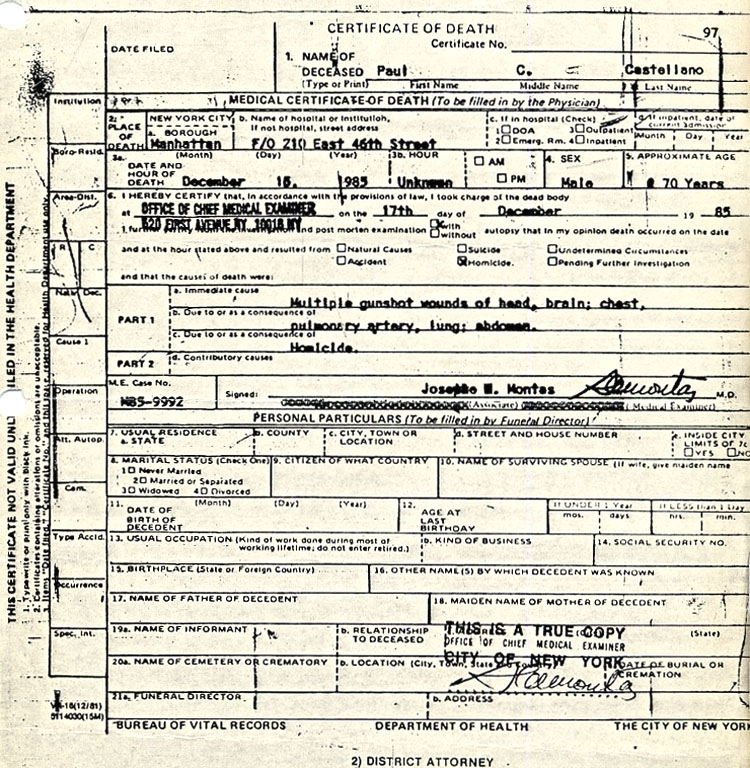 The 70-year-old Big Paul, according to his death certificate, expired due to a fusillade that left him with “wounds of head, brain, chest, pulmonary artery, abdomen.” Castellano’s driver, Thomas Bilotti, suffered a similar fate. 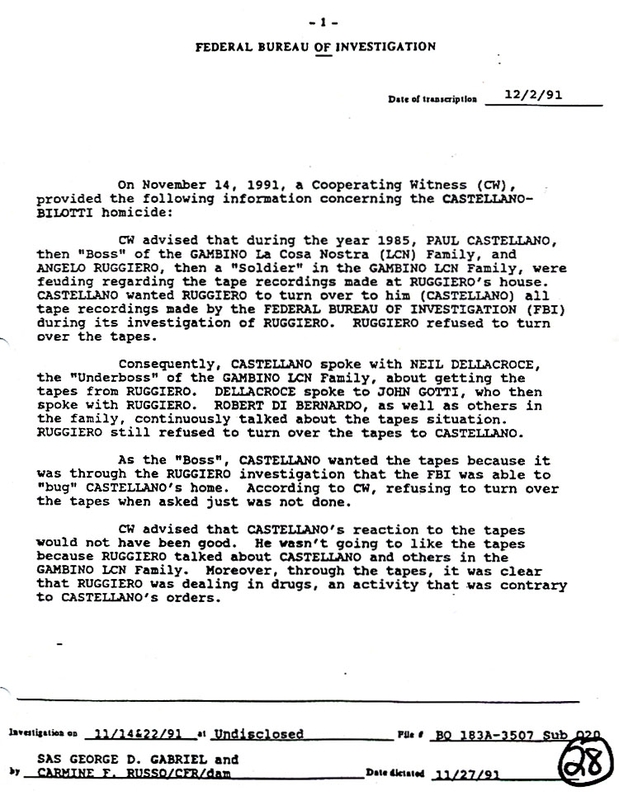 The rubout was orchestrated by Gotti and a tight circle of hoodlums who had chafed under the old school Castellano’s rule. 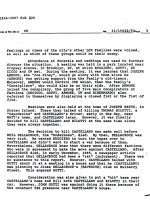 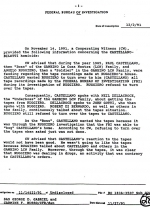 Six years after the killing, Gotti’s underboss Salvatore “Sammy Bull” Gravano turned government informant and provided FBI agents with an inside account of the Castellano-Bilotti hit. 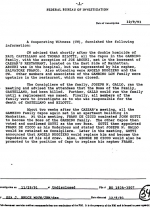 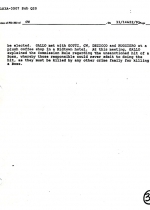 An FBI report, which refers to Gravano as “Cooperating Witness (CW),” memorializes that Gravano debriefing. 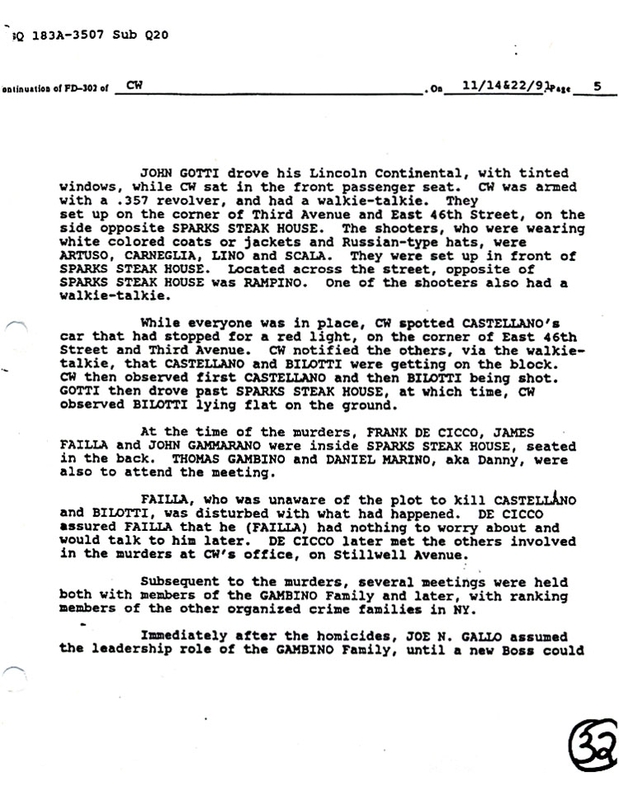 The confessed serial killer, armed with a .357 revolver, was in the front passenger seat of Gotti’s car while the pair watched their hit team--wearing “Russian-type hats”--clip their crime family’s leader. 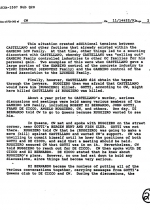 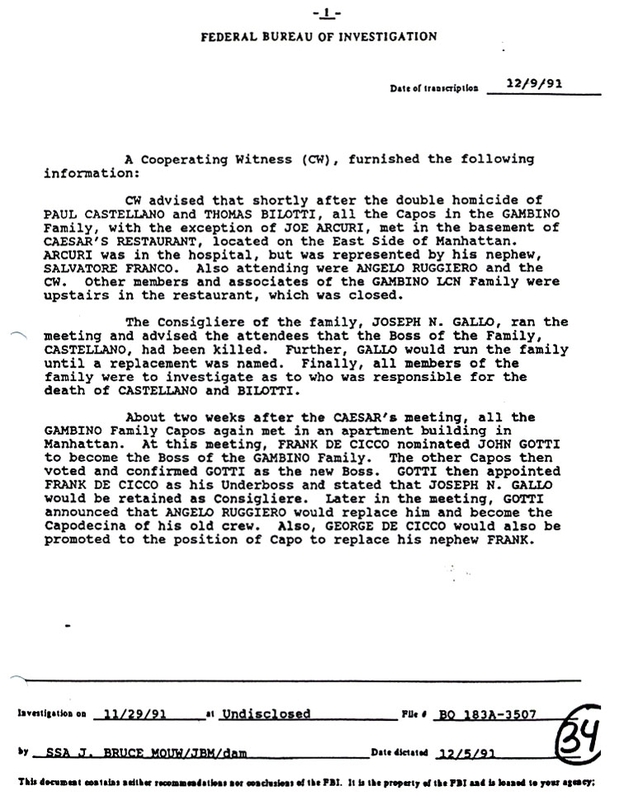 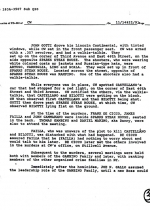 In a follow-up interview with agents, Gravano described subsequent meetings of the Gambino hierarchy, sitdowns that culminated with family captains meeting at a Manhattan apartment and voting to elect Gotti as Castellano’s successor. 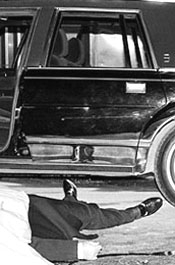 Gotti would quickly earn the tabloid nickname “The Dapper Don” due to his flashy Brioni suits and the fact that most of his peers preferred Members Only designs. 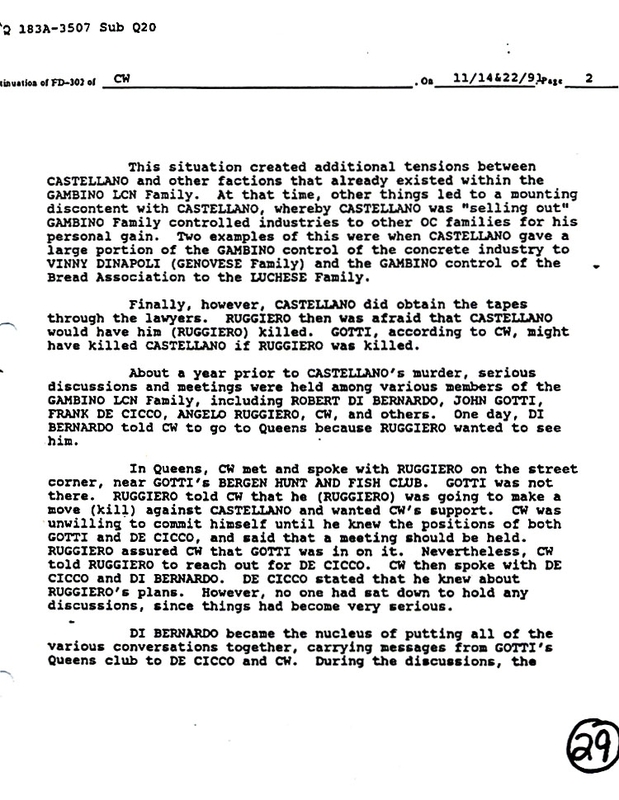 His calamitous reign atop the Gambino gang ended in 1990 with his arrest for an assortment of racketeering activity, including 13 murders (the victims included Castellano and Bilotti). 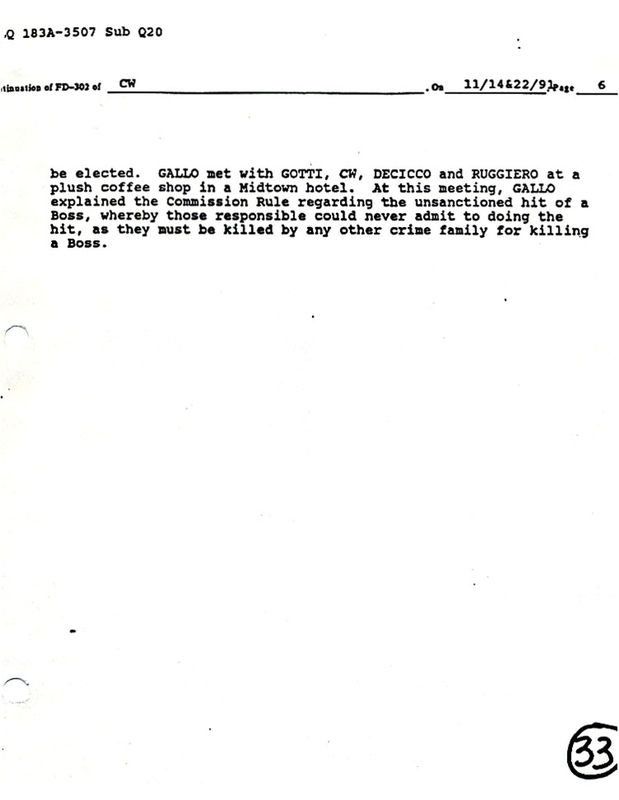 Gotti was subsequently convicted and sentenced to life in prison.